Dr. Alhuwail, a proud Sirdab Lab member, is an assistant professor at the Information Science department at the College of Computing Sciences and Engineering, Kuwait University. He also serves as an honorary faculty member at the College of Medicine at the University of Dundee supervising graduate students in health informatics. 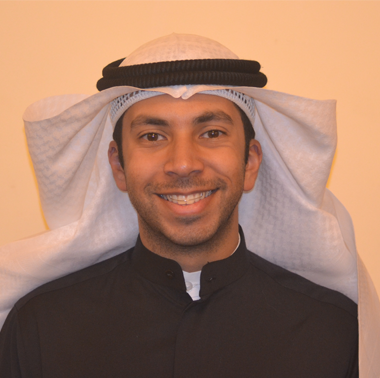 Dr. Alhuwail actively conducts research in health informatics and has several publications in peer-reviewed journals. His research interests are centered around the use, adoption, and implementation of health informatics applications. He has worked in the industry and in various labs in North America, including the Dasman Diabetes Institute as a Systems Engineer, the Division of Clinical Informatics at BIDMC/Harvard as a Clinical Informatics Visiting Scholar and the Health IT Lab at UMBC as a Lab Manager. He is a member of relevant professional and academic societies including the International Medical Informatics Association (IMIA), the American Medical Information Association (AMIA), Institute of Electrical and Electronics Engineers (IEEE) and Association for Computing Machinery (ACM). His research/entrepreneurial interests include: Health Informatics, Information Systems Adoption, Quality Assurance and Performance Improvement, Systems Development, Information and Communication Technologies for Development, and Systems Evaluation.